This BioProvince (as defined by Armen Takhtajan) comprises Somalia, Ethiopia (except some areas along its western border), most of Kenya, a large part of Tanzania, two small areas near the eastern border of Uganda and a small part of the Sudan (including southernmost part of the coastal zone and southeastern areas). Two geologically distinct areas have been identified. The northern parts mainly comprise crystalline basement rocks with some sedimentary succession, while southern areas largely consist of two Phanerozoic basins sandwiching crystalline basement rocks. 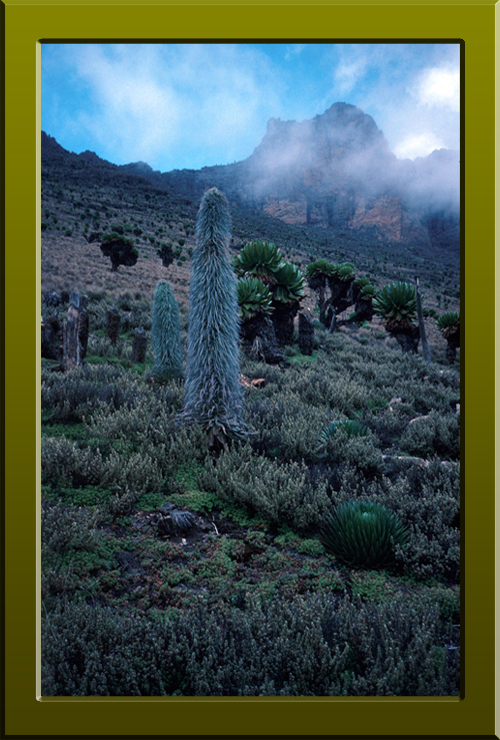 The BioProvince also includes the afromontane and afroalpine zones of the east African mountains where up to 80% of the flora is endemic and as such this area could be regarded as a bioprovince in its own right. In fact, because of affinities with other high mountain floras of Africa it has been suggested that they should all be regarded as part of a single floristic region. However, in the system presented here the floras of the African mountains are regarded as part of the various phytochoria in which they occur but this should not detract from the fact that the African mountains are extremely important centres of endemism. This is partly due to their extreme diurnal climate with a daily range in temperature that far exceeds any seasonal variation. As a result, their ecosystems experience a world where every day is summer and every night is winter. This has created some of the strangest plants on the Planet. Pre-eminent amongst these are the giant senecios and giant lobelias. Altogether there are over 200 vascular plants endemic to these upland zones. The BioProvince as a whole has over 40 endemic genera and over 900 endemic species. Lobelia telekii (Campanulaceae) in Mount Kenya's afroalpine zone in the Somalo-Ethiopian BioProvince of the Sudano-Zambezian BioRegion (Copyright © 2010 Barbara Jones).